Jessica Hart is the Communications Officer at AICGS, managing the Institute’s publications, social media, outreach, media relations, and website. She also produces AICGS’ podcast, The Zeitgeist.She has held a number of roles at AICGS, including Research Program Coordinator, Managing Editor, and Financial Officer. Before joining AICGS, Ms. Hart worked at the OSU Foreign Language Center, for an Ohio senatorial campaign, and at the Institute for Cultural Diplomacy in Berlin. 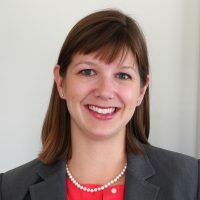 Ms. Hart holds an MA in Political Science from the University of North Carolina at Chapel Hill, a BA in Political Science and International Studies from The Ohio State University, and a graduate certificate in Nonprofit Management from Johns Hopkins University.